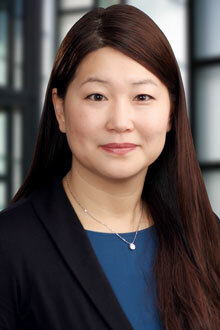 Deborah K. Seo is a partner in the Sacramento and San Francisco offices of Lewis Brisbois and is a member of the Corporate Practice. She focuses her practice in the area of corporate finance, securities, mergers and acquisitions. Deborah represents U.S. and international public and privately held companies in financings, securities law compliance, mergers and acquisitions transactions, and strategic and general corporate matters. She has worked with a diverse client base including both public and privately-held entities, and start-up companies in various industries, with a particular emphasis on technology companies. Deborah has extensive experience advising public companies with the preparation of quarterly and annual reports and registration statements, corporate governance, and compliance with the Securities and Exchange Commission. She has also advised companies in all aspects of their corporate legal needs which includes a wide range of public and private transactions such as equity and debt financings (private placements, credit facilities, and early and late stage venture financings), strategic investments (equity investments, distribution arrangements and licensing arrangements); acquisition and protection of intellectual property (technology transfers, development agreements and licensing agreements); public offerings (initial and secondary offerings); mergers; PIPE transactions; sale and purchase of a business; and reorganizations. In addition, she frequently assists both public and private companies with general contract preparation and negotiation, including non-disclosure agreements, employment agreements, bridge loan agreements, stockholders agreement, limited liability company agreements, consulting and service agreements, manufacturing and distribution agreements, licensing agreements, joint venture agreements, development and collaboration agreements.